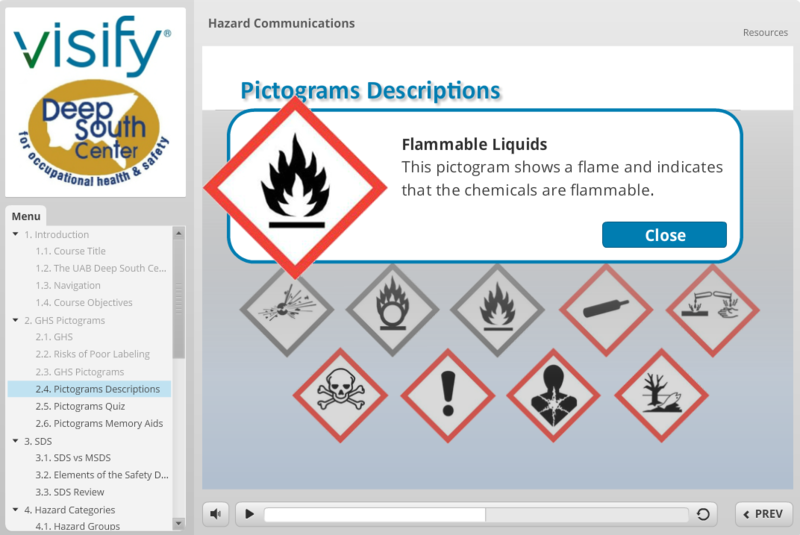 The Hazard Communications course is designed for employees and managers who handle chemicals or who work in environments where chemicals are present. This course was constructed in concert with the Deep South Center for Occupational Health and Safety. It focuses on the Globally Harmonized System for chemical classification (GHS). The chemicals we have in our factories, laboratories, stations, and other work environments often carry significant safety risks. Being aware of these risks requires the ability to read and interpret the hazard communications available to us. This course teaches the GHS system, how to read and interpret chemical and warning labels, and how to respond to potential hazardous situations in the workplace.